British Broadcasting Corporation shortly BBC is one the most trusted and oldest name of media and communication before one decade.But the scenario has changed via modern days technology .As it is seen in recent days people are far away from BBC,but why ? As the technology industry has gradually shifted back toward the belief that content is king.The rush on to another to control the platforms for content distribution has heated up.The most recent entrant into the race may turn out to be one of the oldest content creators in U.K based English media,the BBC.Here is the full topic of Oldest Content Creator BBC is going to become the newest Competitor of itunes via TV shows. Recent announcement of the the 85-year-old U.K. broadcaster has said about paidContent,the BBC is working on a platform for content delivery that looks to compete directly with iTunes.It is Reported that the dubbed"Project Barcelona" the platform would allow viewers to download-to-own any of the content on the BBC for about 1.89 pounds($2.98)per show. English-speaking viewers only casually familiar with the BBC through programs like Doctor Who and Top Gear may not realize that the organization has also produced one of the largest libraries of news and entertainment video and audio content on the planet. 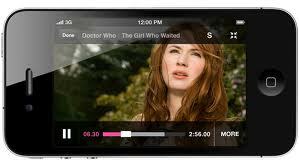 According to the source,this new plan would allow the BBC to exploit its entire archive of content as opposed to the miniscule 7 percent currently offered for download.The new platform would also offer producers a larger cut of the profits compared to the 30 percent commission taken by Apple's iTunes.When approached about the project the BBC wouldn't confirm or deny its existence,opting to simply state "In addition to BBC iPlayer,the BBC already makes some of its content available on a download-to-own basis.Any proposal to extend this facility would require not just the support of the industry but formal approval by the BBC executive and the BBC Trust." 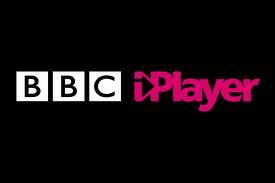 Currently,the iPlayer can be accessed via the Xbox 360 and PlayStation consoles,and U.K. viewers can download the BBC iPlayer for iPad, iPhone and Android devices,but the mobile app remains unavailable for U.S.consumers.As it is gone through a number of iterations over the years,it was revealed back in 2008 that the iPlayer cost the BBC roughly $9 million to develop. Such bureaucracy stems from the fact that the BBC is publicly funded. Every citizen with a TV in the U.K.is required to buy an annual television license,which currently costs £145.50(about$230).It’s expected that there would be some opposition any plan that seeks to levy more fees for BBC content. The BBC is developing a radical scheme under which UKviewers would pay to download new and old BBC TV shows from a service it hopes will compete with iTunes.